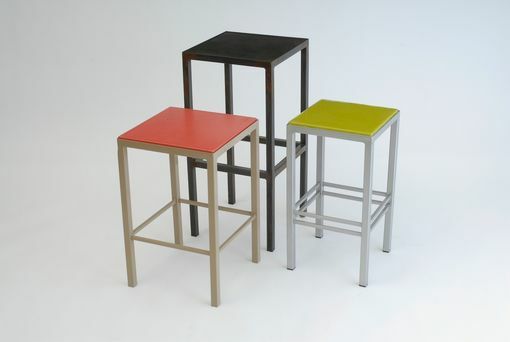 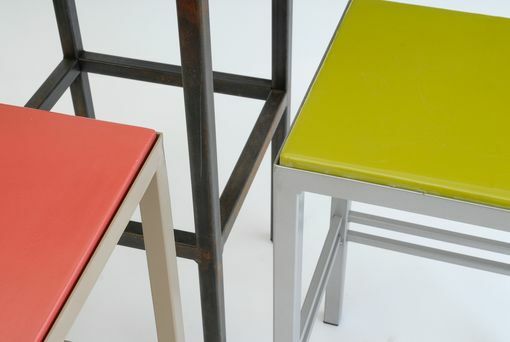 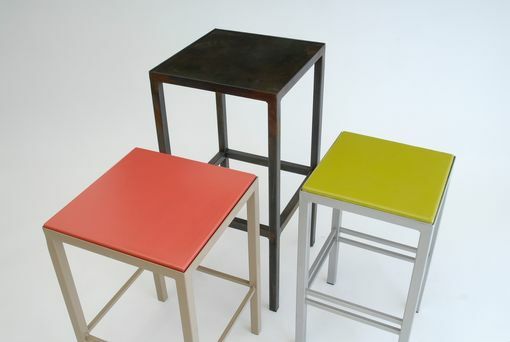 These steel based end tables have our gypsum/fiberglass composite tops. 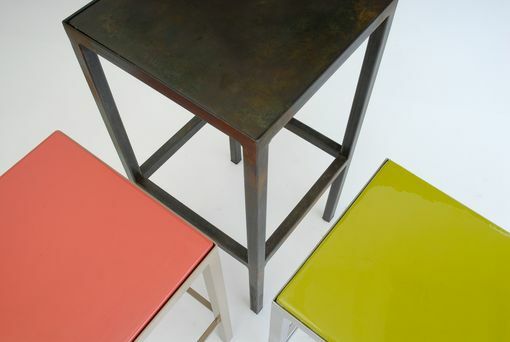 Each is individually fabricated and colored. 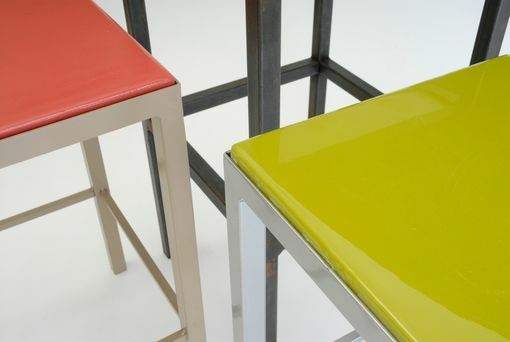 The finish is a proprietary two-part expoxy that results in an incredibly smooth feel, and which is stain proof, scratch resistant, and heat resistant (to 600 degrees) Available in high gloss or matte. 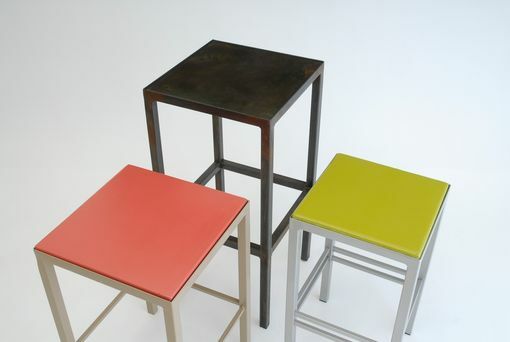 Bases available in natural finishes or painted to custom order.